Replicas of show's sets and props will be on display at pop-up. 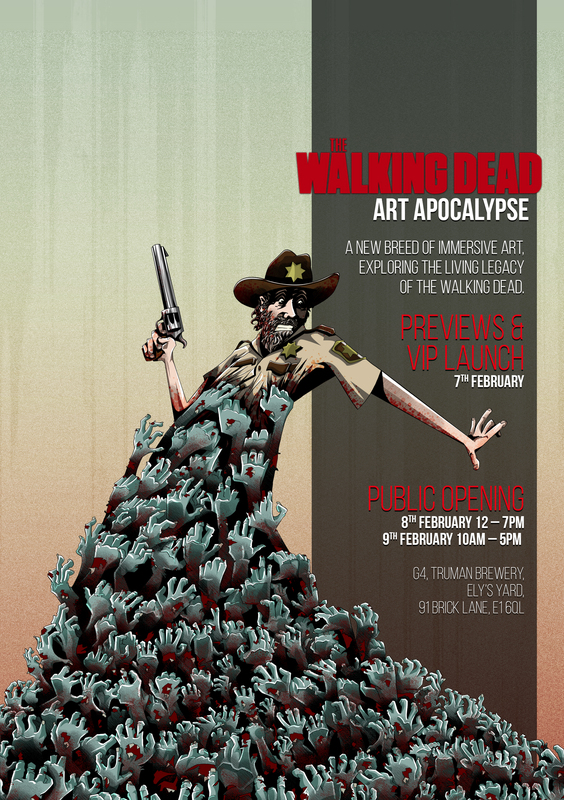 Fox's long-running zombie drama The Walking Dead is being brought to life at London's Old Truman Brewery next month in an interactive pop-up exhibition. 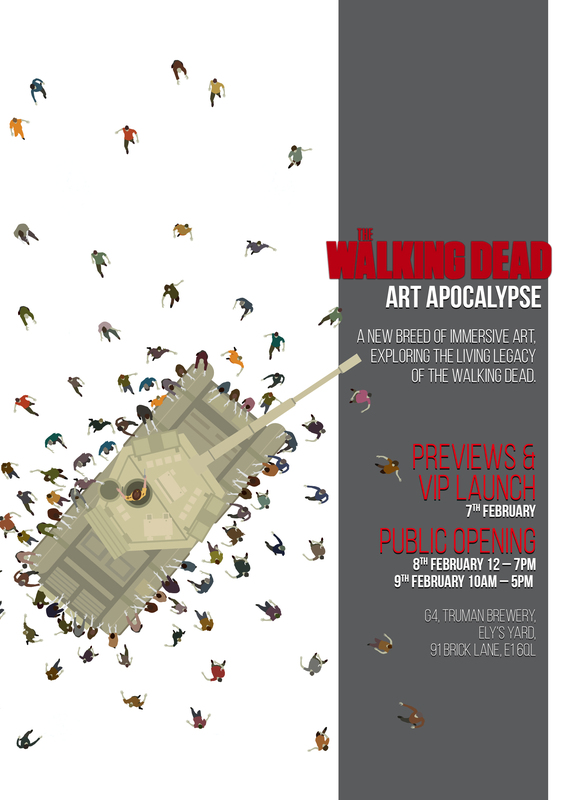 "Dead: art apocalypse" will run on 8 and 9 February at the Brick Lane venue, allowing fans of the series to view and interact with set and prop replicas from the show, fan art and "immersive artwork not for the faint of heart". Displays will include a full-sized model of the infamous room inhabited by character The Governor, featuring decapitated zombies (or "walkers", as they are referred to in the programme), a replica of the motorcycle ridden by character Daryl and live-action zombies recreating seminal scenes, including the escape from Terminus. The exhibition will also display 20 shortlisted entries to a national fan art competition launched by Fox in October last year. The selection was chosen from 800 submissions and the judging panel included former showrunner and FX designer Greg Nicotero. Ahead of its opening to the public, The Old Truman Brewery will host a VIP launch event on 7 February. 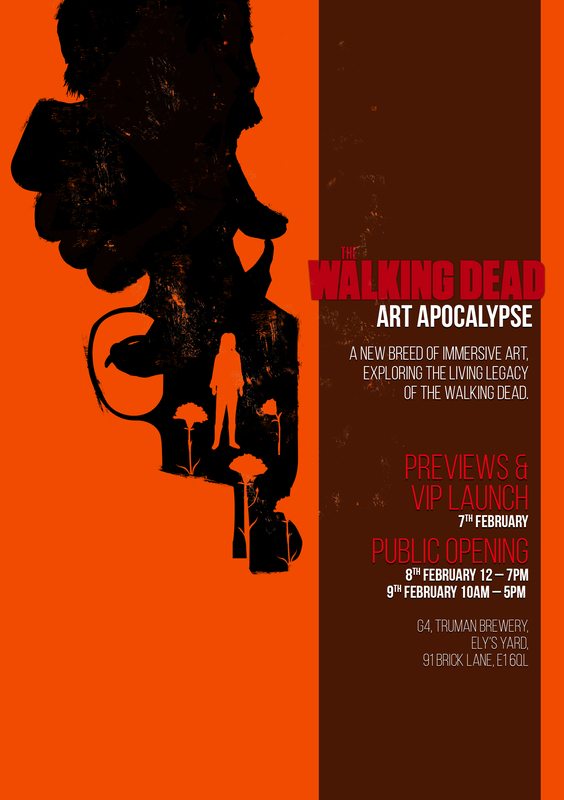 The event is part of a broader campaign created by comms agency Premier to promote the return of the ninth season of The Walking Dead on 11 February. The pop-up is being promoted via media including flyers, as shown below.